The 2nd Annual Stand by Me benefit for Special CHEERS is Saturday, October 3, 2015 from 6:30-10pm. It will be held in the Jockey Club at the Sam Houston Race Park. "A Triple Crown Night" features simulcast horse racing for wage betting, a silent and live auction, Special CHEERS Campers' Art Gallery and live entertainment by Bret Glover. The hosts for the evening are Greg Groogan and Reuben Dominguez both from FOX26. Please come and help support our therapy horses that change the lives of children and young adults with disabilities. Couples and individual tickets are available at Special CHEERS. You may also purchase a ticket online at Eventbrite. BUY TICKETS ONLINE NOW! QUANTITIES ARE LIMITED! $125 Individual ticket includes valet parking, dinner and a souvenir gift. $200 Couples ticket includes valet parking, open seating and dinner for two and a souvenir gift. Winner’s Circle (Title Sponsor) - $12,000: The Winner’s Circle sponsor will receive recognition through the Special CHEERS website and Facebook. Your logo will be on all printed materials and displayed in honor at Special CHEERS. Title sponsor package includes valet parking and private entrance for twelve patrons to be escorted to a private balcony for seating. Guests will enjoy an exclusive buffet dinner with personal wait staff. Masters of Ceremonies will acknowledge your company through out dinner. Belmont Stakes (Gold Sponsor) - $5,000: Belmont Stakes sponsor will receive valet parking, reserved table and dinner for eight patrons. You will receive recognition on the our website and Facebook, and company logo will be on all printed materials. Preakness (Silver Sponsor) - $2,500: Preakness sponsor package includes valet parking, reserved table and dinner for six patrons. You will receive recognition on our website and Facebook, and company logo will be on all printed materials. Kentucky Derby (Bronze Sponsor) - $1,500: Kentucky Derby sponsor will receive valet parking, reserved table and dinner for four patrons. You will receive recognition on our website and Facebook, and company logo on all printed materials. Business/Family Sponsor - $500: The business or family sponsorship includes valet parking and reserved dinner for two patrons, recognition on the Special CHEERS website, Facebook and gift. An Occupational Therapy intensive Day Camp that specializes in assisting children with their sensory motor needs. Frame of Reference is based on Dr. Jean Ayers’ Sensory Integration Theory and Camp Avanti. There is a low ratio of children to adults; therefore, the children will be able to work on their own personal sensory diets. Areas of focus range from vestibular and proprioception to fine motor skills. 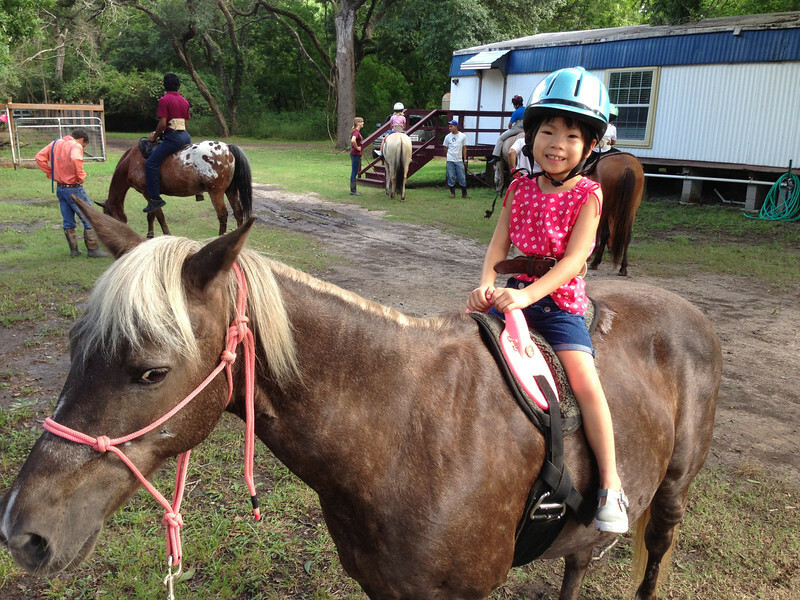 Camp Connections is unique in that children have access to an indoor climbing wall, suspended sensory equipment, therapeutic listening (Berard AIT), Hippotherapy, Interactive Metronome, and more. Camp is a good time to start working on learning how to identify body regulation and how to modulate it effectively. Camp Connections has 2 full day (9:00-3:00) camp sessions that are 10 consecutive days to be able to incorporate Berard AIT and other intensive programs. Camp is divided up in to groups based on categories such as children’s age, developmental challenges, and camp intensity. Please check below to see which camp will suit your child’s needs best. If you have any questions about which camp group to enroll your child in, please do not hesitate to call. 1. Doctor’s Order - ask your child’s pediatrician for an order for “OT Evaluation and Treatment” (existing patients do not need a new one). 2. Return all Liability Release Forms (existing patients do not need new ones). 4. Change of clothes for accidents. 5. Your child’s “special cup” for fluids. 6. Sunscreen and “Deet-Free” Mosquito Repellent. 7. $300 Camp Fee per child attending, for each 2-week camp period. Viva Special CHEERS Fiesta – Nacho Average Fiesta with proceeds directly funding the new summer camp building and to help families that qualify with camp scholarships. As you enjoy eating at one of the food trucks, mariachi bands will be playing, Folklorico dancers will entertain and much, much more! All proceeds of the fiesta will go to Special CHEERS new summer camp building and scholarships for children with challenges to attend summer camp where they receive intense therapy. An adult night out or fun for the family - all benefiting a great local cause. Ticket pre-sales have ended on Eventbrite however tickets will be available at the event. We look forward to seeing you at the Fiesta! Company recognition prominently displayed at Viva Special CHEERS Fiesta, back of event T-shirt, displayed at Special CHEERS Ranch, on Special CHEERS websites, Facebook, and twitter accounts. Company name on event posters and printed invitations. Two reserved tables for 20 guests with preferred parking, early entrance for VIP hour prior to the event opening to the public which includes meal and dessert from food trucks, beer, tour of brewery and 20 gift bags. Company recognition displayed at Viva Special CHEERS Fiesta, printed on back of event T-shirt, displayed at Special CHEERS Ranch, and on Special CHEERS websites. Two reserved table for 15 guests with preferred parking, early entrance for VIP hour prior to the event opening to the public which includes meal and dessert from food trucks, beer, tour of brewery and 15 gift bags. Company recognition displayed at Viva Special CHEERS Fiesta, printed on back of event T-shirt, displayed at Special CHEERS Ranch and on Special CHEERS websites. One reserved table for 10 guests with preferred parking, early entrance for VIP hour prior to the event opening to the public which includes meal and dessert from food trucks, beer, tour of brewery and 10 gift bags. Reserved table for 5 guests with preferred parking, early entrance for VIP hour prior to the event opening to the public which includes meal and dessert from food trucks, beer, tour of brewery and 5 gift bags. Additional guest $100 per person. To have name printed on back of T-shirt we have to have sponsorship information by April 10, 2015. Legendary Country Singer Mickey Gilley, the one and only Urban Cowboy, will put on a benefit concert on behalf of Special CHEERS August 16, 2014. One of Texas' Historic Dance Halls, Tin Hall, will be the evening venue for all the fun to help support Special Cheers Pediatric Therapy Program. Special CHEERS is a 501 (c) 3 non for profit organization that specializes in children to young adults with special challenges. Special CHEERS utilizes many different traditional and unique treatment theories and tools to help individuals reach their maximum functional potential. Special CHEERS is on a 240 acre farm, on the west side of Houston, owned by the US Army Corp of Engineers (Addicks Reservior).